I wouldn’t say it was a huge success. It didn’t give me an additional movement but maybe knocked the pain down the scale a notch. With that in mind when I went back to see Mr Majeed he couldn’t work out why I had no mobility, he examined me again and really couldn’t get what was once a very hypermobile shoulder to shift. He moved my good arm and the range of movement is quite scary, I can get my arm so far up my back I don’t need anyone to zip up a dress, or put sun cream on. So what had gone wrong? He looked at the MRI, X-rays and drew a blank, maybe there was something inside the joint that just couldn’t be seen on imaging. My options were to go and see the best physio at the Stanmore to see if he could release the joint, then if that didn’t do the trick he would preauthorise a further steroidal injection into the shoulder and see if that did anything. I was then to return to him a month later to discuss the invasive options. On Tuesday this week we headed back to the Stanmore for another fluro guided injection under X-ray. 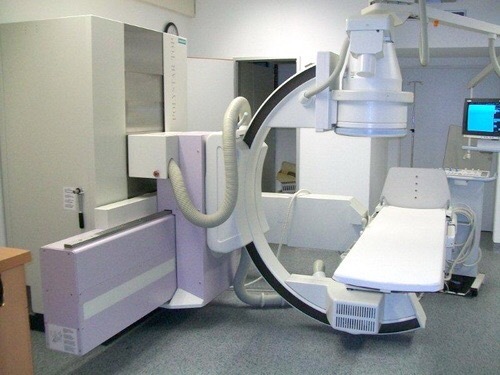 It was a different Doctor this time and they had a new machine (see the picture below) in the department, so walking into the room was a bit daunting. Once again they were very kind and supportive, they let Andrew stay in the room. I could hear his voice throughout, this settled me, I didn’t overly panic but I was terrified, I don’t like needles. After the procedure was over I had a bit of a reaction, they think it was an adrenaline dump as I couldn’t stop shaking but I just wanted to head home. I assured them that if I felt too poorly I would call my GP and they didn’t need to worry. I would give the RNOH 10/10 for their compassion and support. So thank you for being so kind and understanding, my local hospital are just by the book rude and unhelpful, you went out of your way to make sure I wasn’t scared any further. So after lots of needles into my shoulder, it’s safe to say I’m done with having it fiddled about with, I am fully aware that surgery is now the only option, that makes me sad because the risk is it’s going to go from stiff to overly hypermobile again and popping my shoulders out on a regular basis isn’t fun. Neither is having painful, restricted use of one arm, so whilst it’s a tough choice, I have to do it because I can’t use my wheelchair with one arm and I need to have my mobility. So as you knew I had been referred up to Kings College hospital by Dr Gall, I had completed the Lung Function tests and it was decided then that I would need some kind of physiotherapy. I had been going along on a few occasions, notably on the first Sarah my nurse/physio had noticed just how flexible my rib cage was. She explained that a lot of my pain could be from costochondritis and to learn to manage the pain with shallower breathing without hyperventilating. Over the time I was given homework exercises to improve the amount of air I was able to take into my lungs, this would in turn hopefully improve my PoTs, or maybe the number of “turns” I was having. One of the first exercises I found was really easy, in fact it was quite relaxing, and I used it at bed time, however due to my shoulder injury we had to adapt how I could do it. Once we mastered how I would be able to this exercise she found the amount of air I was taking in was improving, the only concern was the flexing in my ribcage. Can’t win everything I suppose, PoTs improvement , EDS loses. The second exercise involved breath holding, now I couldn’t get to grips with this, it was similar to one during the lung function test and even though she gave me a sheet to take home, I just kept getting so confused and flustered, that my breathing ended up so out of synch i would end up struggling for breath, so she told me to give up with that one. When I went back again, she was happy enough with the original exercise, that she felt this one alone would improve my lung function BUT i needed to keep practicing until I next saw Dr Gall. With that agreed she decided to discharge me from the physio team but said that if I felt I was going downhill again I could call for an appointment. So after a matter of three months under their care I had already succeeded in a positive outcome, i was really pleased with myself and knew that I just needed to keep up the hard work. Who knew breathing was so difficult and complex, I will never take it for granted again! Now I need to use my wheelchair again due to the pain levels. I have seen two pieces of kit that I would love to get, you could call them accessories but they aren’t. One of them would be essential for me to use my chair especially if I wanted to go out solo because with my shoulder damage I am no longer able to self propel. Now this leaves me with a dilemma. Do I get rid of my lovely wheelchair and get a power chair, scooter or something else motorised or do I buy this clever piece of kit. Ive checked the price here in the UK and it retails at £4300 excluding VAT, yes now you’ve picked yourself up off the floor, thats right !! 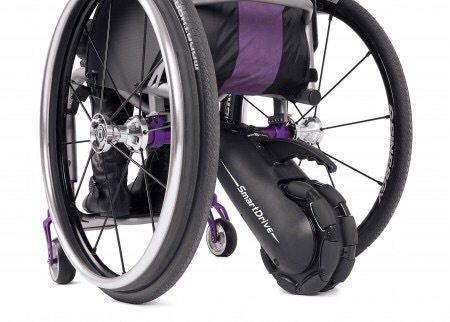 Just under four and a half thousand pounds BUT a new decent powerchair would cost five thousand, so why not keep my chair and add this amazing piece of equipment. It means I can use my good arm and with the wonders of bluetooth slows down and adapts the speed, clever huh?? I have no idea how I am going to be able to get one of these, I see people gofundme, for all sorts of things and Im just wondering, what it, why shouldn’t I, it is for an essential piece of kit and it is not like I have not asked before is it? This snaps to the front of my wheelchair, it lifts off the two small front wheels, so you have the one big front wheel on the ground. 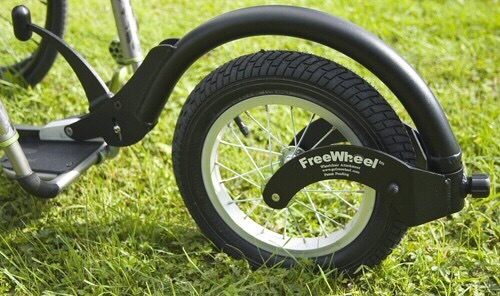 Now making your wheelchair a trike. I have two friends who have these and they get on great with them. I have told Andrew I don’t want anything for Christmas, if anyone wants to buy me anything please don’t just a little money in a card to go towards my Freewheel would be great, that is my wish this year !! So those are the two adaptations to my Ti Lite that I would love to do, I may not love using my chair all the time but I certainly will find ways to make using her easier, by the way her name is Tilly, she is red and goes like a rocket. I’ve had such a good summer, as far as pain wise I’ve managed so well. I had got on top of my pain relief, in fact by the time I last saw Dr Mason when he left I was feeling really positive. I was coping on paracetamol, the meloxicam and after seeing my new pain guy I had decided to be brave and reduce my patches and try a new pill. All was good, I had been out of my wheelchair too, yes I was using my crutches, or Andrew to help me but to be honest I hadn’t needed it for anything. So yes I might need my wheelchair again, my flare up has been over a week now, I’m exhausted as I’m not sleeping well, the new tablets are awful, they make my insomnia worse, upset my stomach and hurt my muscles, I have a feeling those are for the bin too but I need to ask the doc first, on top of that my headache is awful, I’ve developed this horrible pain where I can barely hold my head up, it’s best when sitting with my head supported on pillows, or a headrest, otherwise it just makes my headache intolerable. My Botox isn’t until December due to Dr W’s heavy work schedule so I think I’m going to need lots of migraine meds. I think autumn and winter are going to be really tricky, roll on next summer, in the meantime I might hibernate. 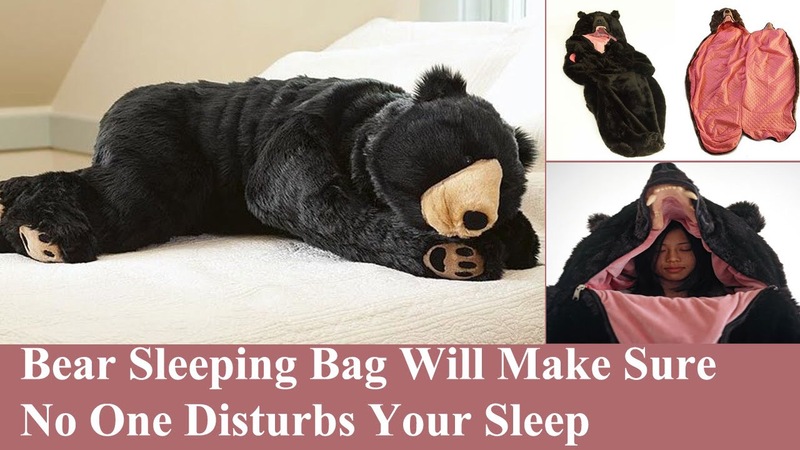 Who wants to buy me one is these? ?